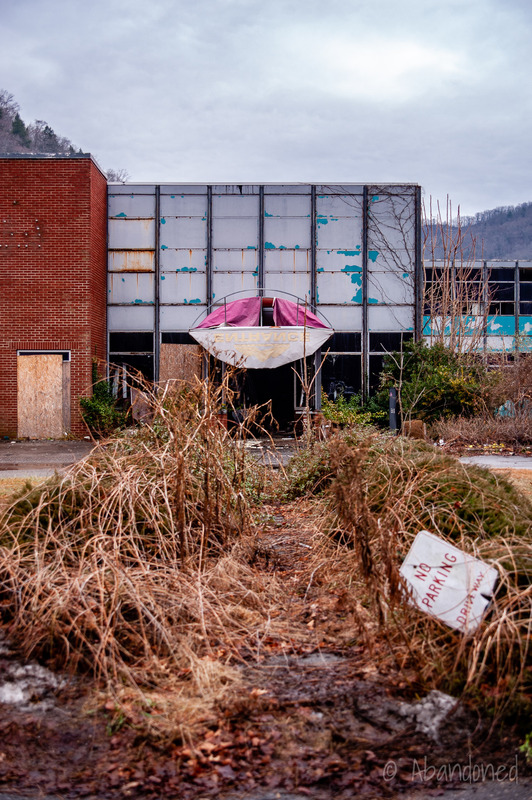 The Man Miners Memorial Hospital is a now-demolished medical facility in Man, West Virginia. It was later the Man Appalachian Regional Hospital. The Man Miners Memorial Hospital was constructed in 1954-56 by the Miners Memorial Hospital Association (MMHA), a non-profit that constructed hospitals and clinics and provided health services for the coal mining regions of eastern Kentucky and southern West Virginia. 2 Thousands of United Mine Workers of America workers and citizens celebrated the Miners Memorial Hospital openings, which were scattered throughout the region and provided modern health care in regions that had scant medical support. The MMHA faced financial difficulties in the earl1960s’s and announced that it was closing some hospitals. 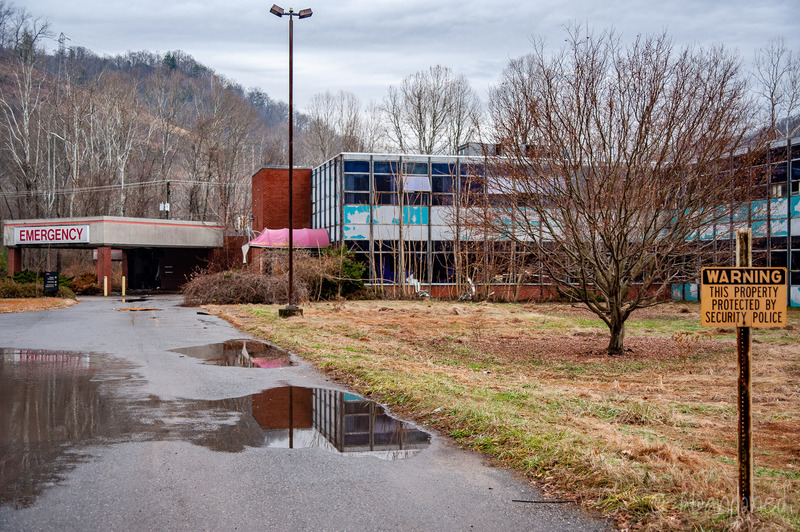 2 Shortly after, the Board of National Missions formed a new non-profit medical services system, Appalachian Regional Hospitals (ARH), that purchased the Miners Memorial Hospitals. In 1986, the name of the system was changed to Appalachian Regional Healthcare to better define its expanding role. The Man ARH Hospital closed in 2001 over a lack of sustainable funding. 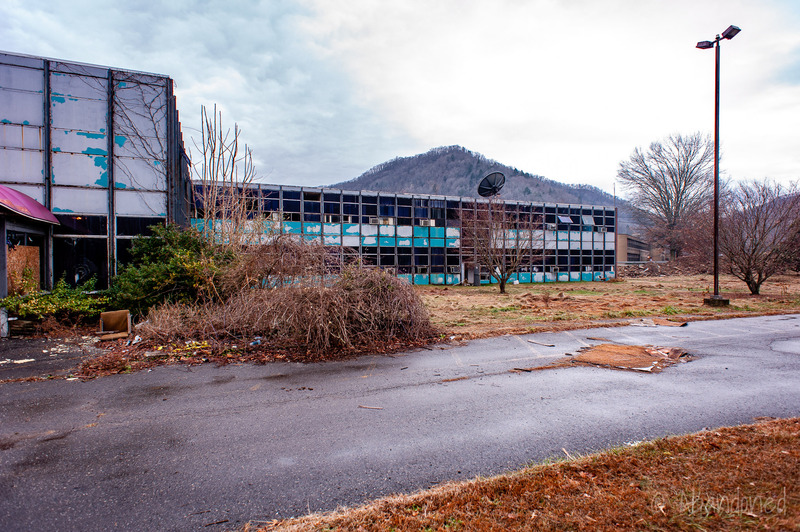 3 Plans for demolition of the facility were announced on February 9, 2009, despite plans from Logan County to use the additions of the hospital for a Level 5 trauma center. 5 The county wanted the original hospital sections removed for a new wing that would be built in its place for the trauma center, which would be part of the active Community Health Foundation of Man. “About ARH.” Appalachian Regional Healthcare. N.p., n.d. Web. 3 Mar. 2011. “Man Appalachian Regional Hospital.” Blood Asylum. N.p., n.d. Web. 3 Mar. 2011. Article. “Blaze in old Man hospital building extinguished.” Logan Banner 2 May 2009: n. pag. Web. 3 Mar. 2011. Charles, J.D. “Man Hospital to be demolished.” Logan Banner 11 Feb. 2009: n. pag. Web. 3 Mar. 2011. Charles, J.D. “County hauling debris from Man hospital.” Logan Banner 29 Jan. 2011: n. pag. Web. 3 Mar. 2011. I was born there in 1966. I was from Greenville. I walked the halls a many of times. I hate that it was torn down. It may have been haunted it being over an Indian reservation and all. The people in that area need a hospital. I was born in this hospital on January 12, 1961. I was born in this hospital in July 1961 my father passed away there in 1981 he was a retired coal miner. I still live in the Tridelphia area and we are in desperate need of a good health care facility. I can’t really say what contributed to the eventual demise of our health care system all I can say for certain is the main building is now just a rumble on the ground and the clinic that was known as the community health foundation is sitting abandoned just like the hospital had been. A health system called Lincoln Primary Care is operating on the property out of a couple of double wide trailors. The hours of operation are somewhere between 8am – 4pm Mon-Fri. I have been informed by reverend Mike Pollard who is very active in trying to secure funding for a new medical facility there is a plan to replace the hospital with a new facility but there is a lack of $1,000,000 to complete the project originally planned. He also said the new facility will be more of a 24 hr care facility rather than a 9-5 weekday facility. 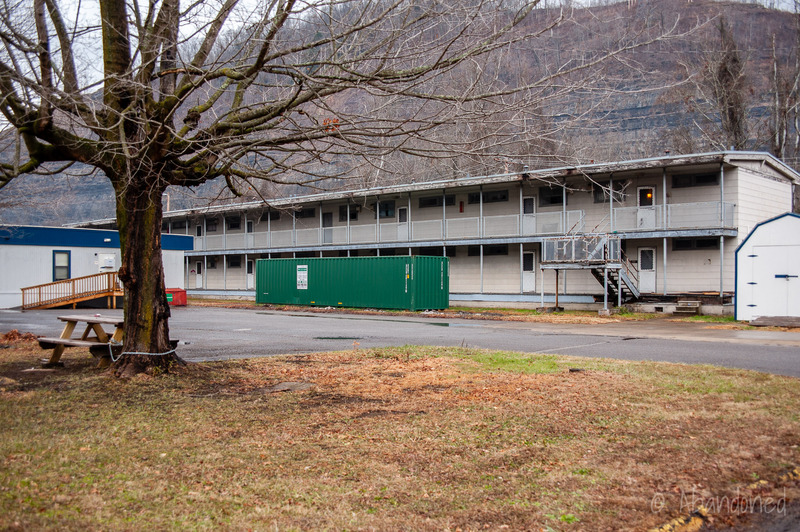 A new 24 hr facility would not only help many people in the Logan county area it would serve to provide medical attention to people in Wyoming, Mingo, and parts of Mcdowell counties as well. How does that not seem like a viable need for this area is beyond me. It was the closest facility for the Man area, as well as Gilbert, especially up Rt 10, towards Mallory and on into Wyoming County. It’s sad that the community leaders could not find a way to keep it open. I was born there May 25, 1983 my parents are Roger Morgan and Nellie Tuttle. I was born in this hospital on January 7, 1960. My parents were William G. Mullins and Francis Lorain (Parson) Mullins. It was truly a sad thing to see what happened to this hospital. When it was closed, everything was left in place and functional. It was simply locked up and everyone was told not to come back. My issue is with how it was done, the cut of all communications coldness of heart and mind, without even offering the chance for interested parties concerned with the community to come in and transfer the equipment to another location or to create another functioning clinic of some kind for such a poverty stricken population. I am still interested in the role of the union, political organizers, and funders in intentionally harming the people of that area. While it was said to be an economic decision. It simply does not pass the smell test. WAS IT DONE AS A MATTER OF PUNISHING THE AREA FOR NOT SUPPORTING A PARTICULAR POLITICAL MACHINE? The say that hind sight is 20/20. I have seen a lot of political profiteering, manipulation, and punishment taking place in Virginia coal production, Pennsylvania oil pumping, the shut down of electrical generating facilities, and oil transportation by rail as opposed to pipeline. I was born in this hospital in 1965. My oldest nephew was born here also. Our family came to this hospital for years. Sadly my dad passed away there when I was 10 years old and my mom passed away there when I was 19 years old. I’ve seen the pics of the hospital abandoned and its so sad. I’ve read stories of the hospital being haunted. Now I’ve seen where they have torn it completely down. It’s such a shame this hospital did not continue on to help others in this area. I was visiting my grandparents years ago while they were uncovering the Native American burial sites. I haven’t been able to ding any information or photos about it. Just looking for more information. I was born in this Hospital may 6 1957 one year after it was opened, My Daddy worked in the coal mine, I think it was rock house hollow, My parents were Garland B and Irean Burchett! Hello, I stumbled upon this website and was mesmerized because I have never seen the hospital before. I was born in this hospital back in 1973 and I am saddened to see that I never got to visit it again while in operation. I have to give this hospital and its' doctors and nurses credit for saving my life as I was born over 2 months premature and in 1973 it would not have been unusual for a premature baby dying and they saved my life. I enjoy the paranormal and would love to visit it just to hopefully see what may be there after all signs of life are gone from the site. I stumbled upon your pictures of the abandoned Man Appalachian Regional Hospital (Man Community Hospital) while looking up abandoned buildings a couple years back, and for no understandable reason fell in love with the hospital through your photos. I made it a personal mission of mine to go down to Man, West Virginia, to see, explore, and photograph the hospital for myself, which I finally got the chance to do over Memorial Day weekend this year. The experience for me was amazing and surreal, seeing this hospital in person after wanting too for the past two years, but also was incredibly disturbing. After the hospital closed in 2001 it was never reopened and the damage done by time, nature, vandals, and copper-thieves, is incredible. The hospital sits in a state of almost complete disrepair, with little hope of it ever reopening. When the hospital was closed, they literally walked out and locked the doors, leaving everything behind (beds, chairs, computers, medical records, blood samples, copier, x-rays, CT scanner). The county currently owns the property and for the past few years has been seeking funding to tear the hospital down or find a buyer to potentially build a new health care facility. 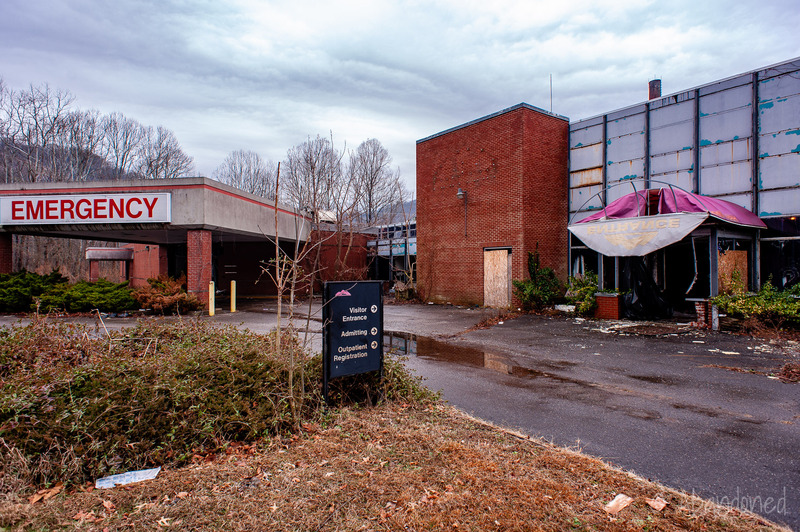 It is so sad to see this once important and life-saving building in the state it is in, and in a region in need of good health care, to see an abandoned hospital in a state of such decay, has to be a huge insult. I didn't know if you would want an update about the hospital, but I wanted to share my thoughts after being there. If you would like to see pictures of the hospital today, I have put the address to my Flickr page containing photos of my trip there. Thanks for a great website dedicated to the history and memory of abandoned buildings.